The friendly and caring staff at Angle Orthodontics is always ready to answer your questions and help you feel at ease. 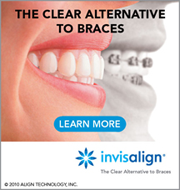 Our primary goal is to provide state-of-the art orthodontic treatment in a caring and friendly environment. We want you to feel welcome and at home from the moment you enter our office. We realize the importance of choosing an office that sincerely cares about providing the highest quality service. We go to great lengths to make sure your experience with us is a pleasant one. We want you to look forward to your visits with us. 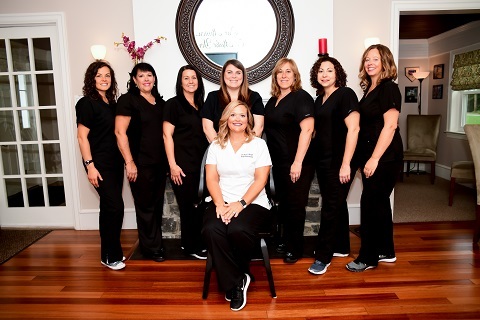 The staff at Angle Orthodontics is expertly trained to provide you with top quality orthodontic treatment to give you the healthy, beautiful smile that will last a life time. Linda joined the Angle Orthodontics team in June 2007. She has been treating patients for over 25 years. She knows how to make every patient feel special and treats them with gentle caring hands. Linda is often there to greet patients, make their appointments, take payments, and process your insurance claims. Linda is one of a kind because she can handle all aspects of the office from patient care to making sure you get your full orthodontic benefit from your insurance. Linda can answer any question you may have about orthodontic treatment. Toni is our new patient coordinator. She has over 20 years of experience in this role, and will be sure to make you feel comfortable from your initial call to our office through your appointment to start your orthodontic treatment. Toni will contact your insurance company prior to your consult so that she can give you an accurate payment plan at your consult visit. She will answer all your questions, review all treatment options, and give you a tour of our office so that you feel at ease. Toni is extremely friendly and can make anyone smile! Shannon has been treating orthodontic patients for over 17 years! She loves to connect with each patient that comes in the door. She always has a smile on her face and is a true perfectionist when it comes to her orthodontic skills. We are so happy to have Shannon on our team! Katie has been with our practice for many years as an orthodontic assistant. She came to us as an experienced orthodontic assistant and can perform all orthodontic procedures. She loves to get to know all our patients and makes our office have a fun atmosphere that makes our patients feel more comfortable at their visits. Katie is a huge Eagles fan so you may see her in her Eagles gear on days before a game! Beth is an excellent orthodontic assistant that enjoys talking with our patients. She is always happy and you will often hear her singing to whatever tunes we have playing in the office. Jobina has been an orthodontic assistant for several decades and her skills show her experience. She can handle every challenge a patient may present and she does it with a smile! Maggie will welcome you when you enter our office! She is always working with a smile and is happy to help you schedule your next appointment, submit your insurance claims, process your insurance payments, and answer your phone calls. Maggie likes to keep the brushing station very clean so everyone is inspired to brush when they enter, because we love clean teeth at Angle Orthodontics!